Nearly 75 councils from all over the country have backed our Bring Robin Home campaign. See if yours has here. This Autumn, both Labour leadership candidates (Owen Smith and Jeremy Corbyn) endorsed the introduction of an ambitious Robin Hood Tax. See their videos explaining why they back us here. Shadow Chancellor John McDonnell restated Labour’s commitment to reviewing their position on the Robin Hood Tax, adding that it was “an idea whose time has come”. 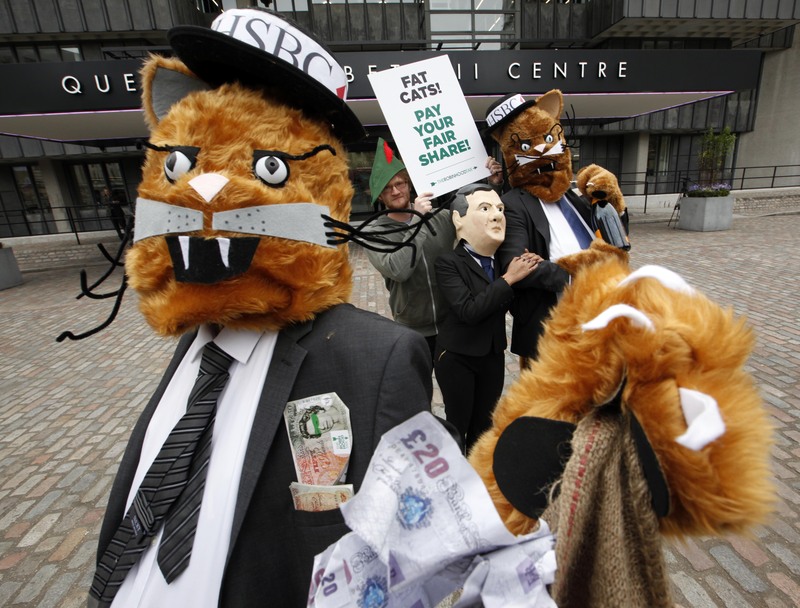 We hijacked the entrance to HSBC’s AGM dressed as fat cats. Bold strides forward were made in Europe. In January, our campaign got even bigger with the addition of Robin Hood Tax Ireland and we went over to Dublin to meet the team. 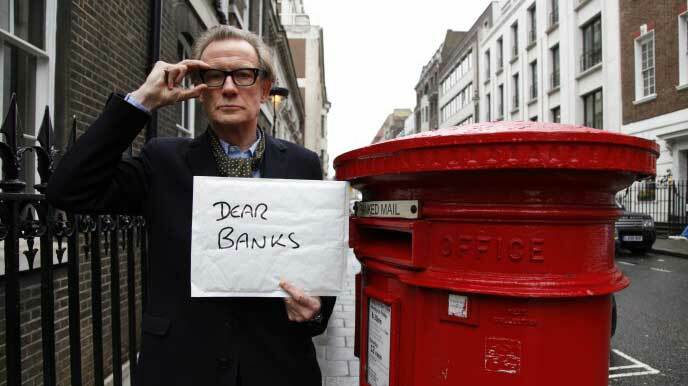 Bill Nighy launched our The Time Is Now campaign. Nearly 10,000 personalised messages were sent by you to European finance ministers describing the good a Robin Hood Tax could do and urging them to end the delays in the talks. The messages were wonderful and heartfelt and with Italy’s finance minister responding directly to one of our supporters! The French parliament voted to strengthen their national financial transactions tax and increase their contribution of it towards fighting poverty from 50 to 75%. At the same time, more than 250 European experts (as well as 6000+ organisations representing hundreds of millions of people) told finance ministers of ten European countries that the time was now for a decision. They listened and just a few weeks ago, the finance ministers of France, Germany, Italy, Spain, Austria, Greece, Belgium, Slovenia, Slovakia and Portugal publicly committed to the Robin Hood Tax core agreement. 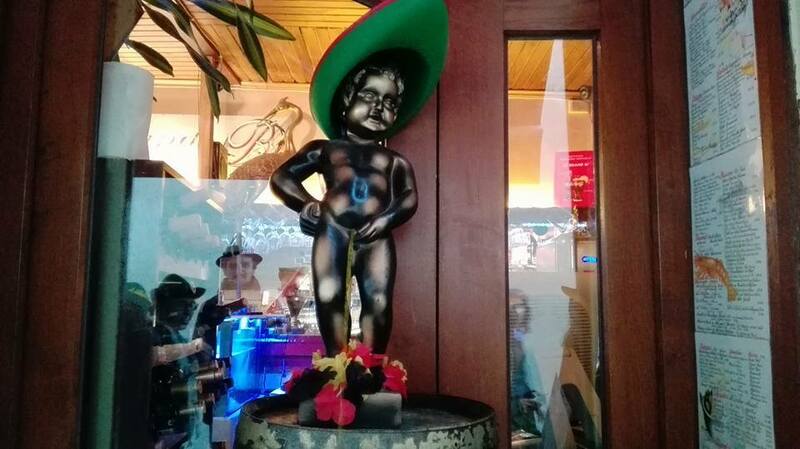 In Brussels, campaigners dressed famous Belgian statues as Robin Hood, painting the town Lincoln Green. US Presidential candidates (most notably, Bernie Sanders) catapulted the Robin Hood Tax into the political mainstream. It was then added to the Democrat Party’s platform - representing the first time a major US party has formally endorsed our call. The New York Times’ editorial team called for an ambitious Robin Hood Tax this Summer. Every year that passes takes us closer to realising our goal. But we’re not complacent - we can’t afford to slow down now. Too much is at stake: we’re so close to having the world’s first regional Robin Hood Tax which could really help people struggling. Thanks for your support this year. We couldn’t do it without you. Bring on 2017!